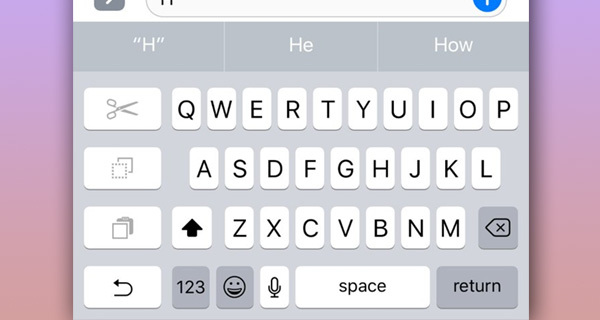 Here’s how to enable hidden one-handed iPhone keyboard, an iOS feature that sits dormant inside the code as discovered by one developer. It’s probably fair to suggest that most people are happy with how Apple has built the stock keyboard into the iOS platform, or at least, for the most part, make do with what Apple has provided without having too much desire for things to change dramatically. However, with the advent of the ability to publish third-party keyboards on the App Store, the desire to at least try new keyboard experiences has risen, with iPhone owners looking to see what else can be offered should they look beyond Apple’s own experiences. As has been recently discovered by a developer, Apple has had a one-handed keyboard hidden inside the operating system for larger iPhone models (4.7-inch and 5.5-inch) since iOS 8 days but for whatever reason have decided not to enable it for prime-time use. After the discovery was made yesterday, jailbreak community was fast to respond with an option to enable this feature on jailbroken devices. So yes, through the installation of a Flex patch, it is now actually possible to invoke a one-handed keyboard mode using the stock keyboard, which not just stacks up the letter keys to the right or left, but gives instant access to additional functions such as cut/copy/paste to make your typing experience a quick and efficient one using just one hand. Step 1: On your jailbroken device, you’re going to need to be in Cydia to grab the package needed to make this possible. So, with that in mind, launch the Cydia app, and wait for all packages to reload. Step 2: Locate the Search functionality within Cydia and search for Flex 3 or Flex 2. Step 3: Tap into the package page for Flex and then go through the usual process of installing the package like you would with any other jailbreak tweak or extension. This should all be fairly familiar stuff for anyone who has operated a jailbroken device for any period of time. Step 4: With the tweak installed, look for Flex patch named “KB – Enable One-Handed Keyboard”. Step 5: Now simply activate it and you are done. 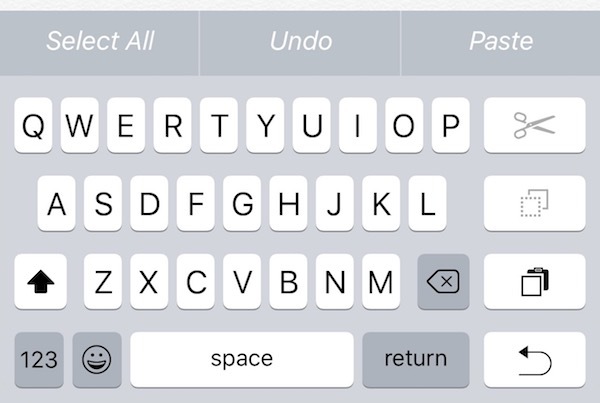 You should now have access to one-handed keyboard mode in iOS. Alternatively, a dedicated tweaks aptly named OneHanded is also available for free on the BigBoss repo that basically does the same thing without requiring Flex. This may not be something that instantly appeals to everyone, and not everyone may want to actually type single handedly, but it’s definitely a handy little tweak to the system that will definitely make the typing experience a lot more enjoyable for some. Did you not see the Curia logo?